Step 3 : Right click on the text layer , and select Duplicate Layer . 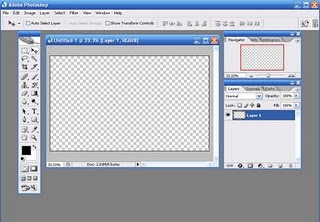 Step 4 : You will see a new layer (copy of background layer) , Select that layer and move your text with the help of Move tool (V) . Step 6 : Now , Right click inside your image , a box will appear , select Rotate . Step 7 : Your image should like this after rotating . Your shadow effect is Ready ! Save your image in any format you like !